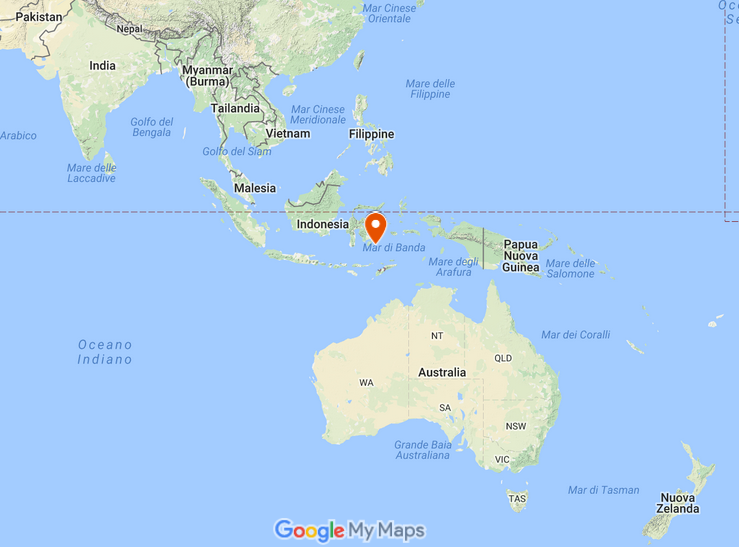 I am currently raising £900 to take part in a field-trip in Hoga Island, Indonesia. I will have the opportunity to improve my diving research skills, using a wide variety of professional methods, to assess the status of the local reef. I am going to investigate coral communities but also look at invertebrates and fishes biodiversity! I am really glad to take part in a project like this! This opportunity will be important since I will work in the field with a team of marine biologists. I will definitely be able to strengthen my diving skills and improve my knowledge about the ecology of the reefs. Part of the time spent in Hoga will be dedicated on a research project. The aim is to assess the percentage of reproductive corals across three different species. Reproduction rate is considered one of the key aspects to investigate. In fact, the species that are likely to survive climate changes, are the ones that can reproduce the most frequently. I graduated in natural science from the University of Milan, where I built my knowledge about ecosystems structure and function. I conducted lab analysis for my dissertation project on the red squirrel at the biological lab of the Ecology and Evolutionary Biology Department of the University of Michigan. I then decided to focus on marine life, with particular reference to the tropical areas. That is why I applied for the Masters in Tropical Marine Biology at the University of Essex. I am currently focusing on coral reef conservation and function, but I will also get a deeper knowledge about sea-grass, mangrove and oceanic systems. "My passion about the life under the sea pushed me to become an open water diver"
Thanks to this project, I will be able to collaborate with expert marine biologists, learning the practical skills required to work in the field. I will spend three weeks in the Coral Triangle (the region with the highest coral biodiversity in the world!) developing skills in diving research. 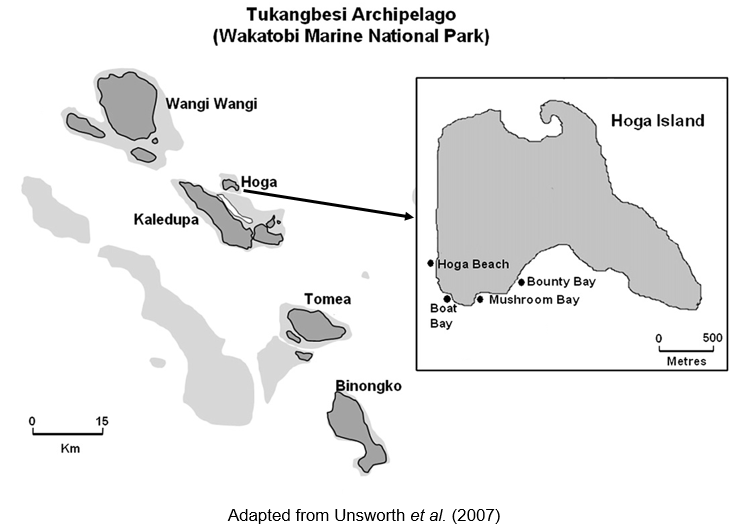 Hoga Island is the biggest island belonging to the Hogan Archipelagos (its extension is about 230 ha). Marine biologists have been traveling to this unique place for years. Therefore, laboratories have been built to let students and researchers analyse the data and lead basic experiments. Once on Hoga, I will assess coral biodiversity and complexity, fish biomass, and other invertebrates abundance. This opportunity will be essential for my future career since it will enhance me to transfer my theoretical knowledge into practice. Underwater, I will be able to use a wide variety of scientific research methods and professional equipment. I will be supplied of a GPS, a computer to assess temperature and depth, a camera and transect lines. Photos and videos will be taken during diving sessions and than analysed to assess benthos biodiversity and vertebrate behavior. Any donation will be helpful and considered more than welcome! With the money I will get, I will be able to partly fund my flight tickets and living expenses in Hoga Island. If I am able to reach my target, I could fully cover the field-trip costs. Extra funds will be useful to improve the diving and research equipment (i.e. professional camera to use underwater). Everyone who donates, will be supplied with photos taken during diving sessions! Just ask what your favorite tropical fish is! You are going to be more than welcome to donate. However, if you can't, please share this project with anyone you think would support me. Please sponsor me and help make this happen. Photos of the coral reef! Thank you! Photos of your favorite fish! Thank you! Coconut key chain from Hoga! Thank you very much! Thank you very much! You will get a special card posted from Hoga Island. Souvenir from Hoga! You are a star, many thanks for being so kind! You are a star, many thanks for being so kind! You will get a special video blog to learn all the details around my project and see the wonderful corals in Indonesia.